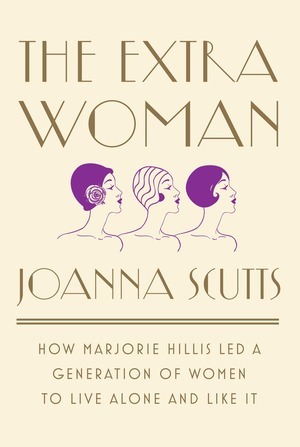 Joanna Scutts is a literary critic, cultural historian, and the author of The Extra Woman, the story of the 1930s lifestyle guru Marjorie Hillis and the lives of single women in mid-century America. Her writing has appeared in The Washington Post, Wall Street Journal, New Republic, New Yorker, and Slate, among many other venues. 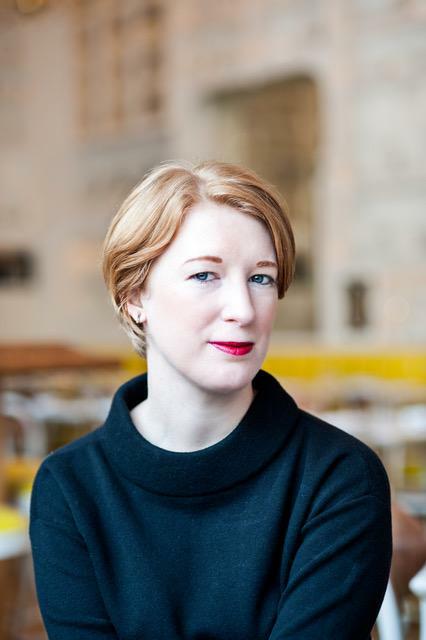 She was the inaugural Andrew W. Mellon Postdoctoral Fellow in Women’s History at the New-York Historical Society, where she co-curated the multimedia interactive installation “Women’s Voices” and the gallery show “Hotbed” for the Center for Women’s History. In addition to writing about women’s history, you co-curated women’s history exhibits during your stint as the New York Historical Society’s Center for Women’s History. How does telling history in a visual or multi-media form differ from writing history? The biggest challenge is maintaining nuance in a format that demands brevity. I learned early on that 100 words is pretty much the absolute maximum that you can expect a visitor to read at once, so it’s a real discipline to write wall text that gets across your point without requiring a huge amount of background knowledge. Images are hugely valuable but they can be deceptive. People tend not to ask questions about who is pictured, why, and how: how social class dictates whose images we have. The result is that the creation of knowledge is much more collaborative – when writing, you are in charge of the narrative to a far greater extent than you are in a gallery, when a visitor can chart her own course, pick things up or skip over things as she pleases. You have to do your best to grab and keep her attention, but you can’t guarantee it, so an exhibition has to work at multiple levels: you want the casual visitor to get something out of it as well as the person who takes a dedicated tour or reads every label diligently in order. I had never curated an exhibition before, so our show “Hotbed,” about activism in Greenwich Village in the 1910s, was a steep learning curve. I also learned a huge amount from researching and curating our permanent interactive exhibit, “Women’s Voices,” which is designed as an introduction to 400 years of women’s history in New York. We wanted to avoid reproducing a hall of fame of “great women” (which usually means privileged white women) to rival traditional male pantheons, so we came up with a networked system. Women are tagged with broad categories of interest, achievement and geography and the visitor navigates between them that way. You can jump across time and find unexpected connections between, say, Helen Keller and Salt’n’Pepa (based on the fact that they all lived in Queens.) We also really wanted to avoid reifying an individualistic approach to history, so we included organizations, events (like the Stonewall uprising) and even anonymous groups (like the young female Irish servants who immigrated in huge waves in the mid-19th century) along with individuals. It’s not so much a timeline as a fun, messy tool of discovery – or so I hope. Writing about a historical figure like Marjorie Hillis requires living with her over a period of months or years. What was it like to have her as a constant companion? I discovered Marjorie when a friend gave me her first book, Live Alone and Like It, as a Christmas gift in 2008. So I lived with her almost ten years before the book was finished – knowing that she had this incredible vibrant voice, knowing that her story upended things I assumed to be true about women’s lives during the Depression and between the major 20th-century feminist “waves,” but not really having an outlet beyond buttonholing people at parties. But she was always there, and always an inspiration, especially as someone who got famous and reinvented herself in her late 40s, which is still a story we don’t hear enough. Women get such a constant thudding narrative about time, that you have to do X by Y age, and by the way, past age 40 you’re on the scrap heap. But Marjorie was always there as an inspiration, and a reminder that you have a right to happiness at any age. You only have to stake your claim to it. How do you define women’s history? The longer I specialize in this area, the more I’m convinced that women’s history is about power, about resisting and rewriting narratives of power. It’s not, to me, simply about “rescuing” women who’ve been lost to history and rebranding them as icons, she-ros, whatever (I wrote about this recently, in relation to the YA publishing phenomenon of books about “rebel girls”: Well-Behaved Women Make History Too) It’s about interrogating why women were written off in the first place and how their voices, and the voices of other marginalized groups, were – and continue to be – ignored, doubted, downplayed, and forgotten. I’m not interested in a version of women’s history that just replicates the heroic values that have underpinned masculine history and doesn’t look at structures of power. I want to write about communities and collectives, how women have collaborated to seize power – my new book is about a secret club of feminists in Greenwich Village in the 1910s, and I’m excited to dive into researching a whole network of women, their friendships and relationships. Heroic individualism is, to me, such a toxic ideology. I’d love to kick that same question back to you – what does women’s history mean to you, and especially, what did you learn by centering women in such a traditionally male arena as war and combat? At the root, I believe that women’s history means adding half the population back into the story–a seemingly simple definition with messy implications when you try to do it. It does require “rescuing” forgotten women’s stories, whether that means remembering that most of the traditional all-male stories are not, in fact, as all male as the usual narrative suggests or looking at women’s lives outside of male institutions. Rescuing stories is not necessarily the same thing as creating new heroic figures. Though I don’t think a new hero or two, and a new definition of hero, is a bad idea. Putting women back into history requires looking at how their stories have been erased, demonized, or marginalized—something I spend quite a bit of time on in Women Warriors. It also requires looking at relationships between women: Sharon Jansen does some interesting work on this in The Monstrous Regiment of Women: Female Rulers in Early Modern Europe, drawing family trees that link mothers, daughters, aunts and nieces across generations to discover networks of women that played an often overlook role in history. Similar networks of relationships happen at all levels of society. In the case of women warriors, I came to the conclusion that most women who went to war went because they were women, not in spite of being women. They became warrior-mothers, or warrior-daughters, or warrior-widows or warrior-citizens. What a wonderful interview. I’d never heard of Marjorie Hillis before, but she sounds like an amazing person.